1. Choose a toy rental plan. You can get four to eight toys delivered to your door every one or two months. The cost ranges from $35.99 to $75.99 per month (this includes shipping both ways). There are three month commitments when signing up. 2. Add toys to your wishlist in order of preference. You can select from hundreds of toys categorized by child’s age, type like pretend play, puzzles, wooden toys, etc…, or toy brand. 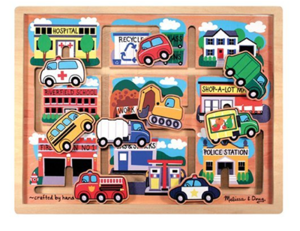 Toygaroo carries Melissa and Doug, HABA, International Playthings, Fisher Price and much more. 3. In about a week or so (the company is just getting off the ground in the past month so delivery times might be a little sluggish in the beginning), you will receive a box of sanitized and shrink wrapped toys delivered to your door via FedEx. When you open the box, keep the return shipping label in a safe place and also make sure that the box stays intact. This is your return box as well. 4. Have fun with the new toys! Keep the toys for 30 days or more (depending on your toy rental plan). If your child is old enough to understand, be sure to tell her/him that these are rental toys (i.e. be gentle and keep track of all the parts). 5. Carefully pack all the items and seal the toy box up, placing the already provided return shipping label on top. Locate the nearest FedEx office and drop off your toy box at that location. 6. In about five more days you should get your next box of toys! Always make sure you have enough items on your wish list at Toygaroo since they cannot guarantee availability on every item. For instance you might have 25 items listed, but only 10 are available on your ship day. We’ve been using this toy rental company (in its earlier version it was called Baby Plays) on and off for a couple of years. 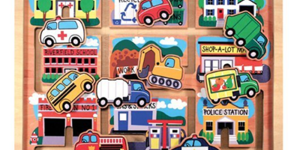 It’s a little on the pricey side and I wish they had more wooden and pretend play items for preschoolers, but in general Toygaroo offers a nice toy rental service–especially for those of you who only have one child and not too many other families around. We are definitely not loaded down with hand me down toys like some other lucky families are, so Toygaroo makes sense for us at times. Also, keep Toygaroo in mind if you take a vacation somewhere or one of those pseudo vacations when you visit relatives. The company will deliver a box of toys to your hotel, condo, sister’s basement, etc… which is a great way to avoid any additional baggage costs when traveling. Less to pack is a good thing. I’m a beta tester tight now for the company and they may be looking for additional testers. Check their blog for more information. When you’re juggling taking care of everything that breathes in your house and beyond, as well as your crazy job–finding time to drive to Target or the grocery store to load up on toilet paper, batteries, cereal, milk boxes, dish soap, tissues, coffee, cleaning supplies, bandages, and more isn’t as easy at it may seem. Your days of “popping into a store to pick up a few things” are over. Hence, the beauty of Amazon’s Subscribe and Save program. Amazon’s program is super easy and straight forward. 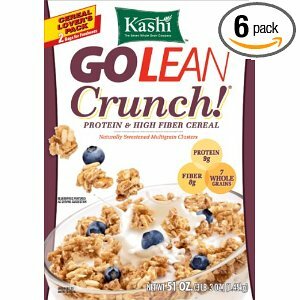 Simply go to their Subscribe & Save page and find thousands of everyday household items (health, child care, grocery, beauty, office, and pet products). Pick an item and sign up for free auto delivery every one to six months. You’ll save an additional 15% off Amazon’s already competitive prices. You will always get email reminders from Amazon about an upcoming delivery so that you can change the delivery date to a later or earlier day. For instance, you can order an extra delivery of flu medicine if everyone in your house gets sick or hold off an another shipment of dish detergent when you still have a stockpile of four bottles. You can also cancel any Subscribe & Save item at any time so you’re not locked into unwanted purchases. I’ve been using the Amazon Subscribe & Save program for about four years now, and the only things I would say to watch out for are: 1.) Going on vacation? Remember to check your upcoming delivery dates a couple of weeks before you plan on going out of town so that you can modify any package deliveries. 2.) If you have a lot of Subscribe & Save items (or canceled subscriptions) listed on your “Manage Your Subscribe & Save Items” page, be sure to look on page 2 of the item listing. Depending on how many active subscriptions and/or canceled subscriptions you have, there may be additional current subscriptions listed at the top of the second page. This is a weird formatting issue or savvy marketing strategy Amazon has used. 3.) Not all the prices are competitive. Bulky items like toilet paper may end up being a little cheaper at your local big box store, but weigh the price difference and decide whether it’s worth loading the kids in the car to save a dollar. Note, if you have a child in diapers, be sure to join Amazon Mom. As a member of this free program, you get 30% off select diapers and wipes and shipping discounts (or free shipping). You also receive an occasional email with a specific discount on certain baby items like car seats or feeding accessories. Now that you’ve saved all this time driving and shopping for staples at stores, maybe you can take a few minutes for yourself. Perhaps use the bathroom without your little one talking to you nonstop by the door? Well… maybe not. 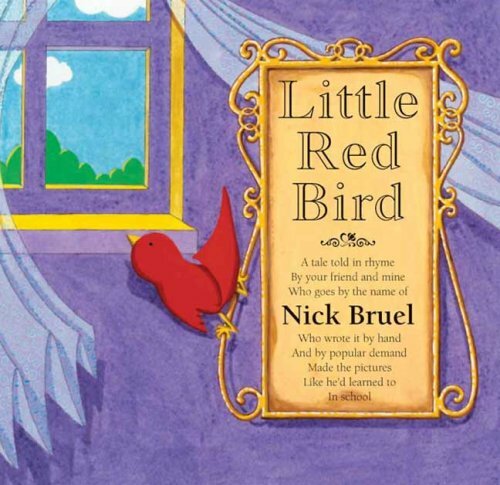 The rhythmic, colorful, and poignant story of the Little Red Bird, by Nick Bruel, asks kids about the differences between comfort and predictability versus freedom and the unknown. The little red bird (a pet bird) enjoys the ease and familiarity of her cage but then one day looks outside and glimpses the world beyond. Through an open window (and many, many great metered sentences–you English and music majors will have fun reading this book), the little red bird briefly ventures out to a park happily discovering flowers, trees, benches, and well, a part of the exciting world she has never seen before. The anxiety of leaving home or leaving the familiar applies to all our different phases of life and The Little Red Bird beautifully opens this topic for discussion with your child. This book is particularly good for kids dealing with separation anxiety or those who are on the quiet or cautious side in public settings. For these more observation based learners, the idea of venturing out into the freedom of new experiences often sounds more scary than inviting and this little red bird shows that “the new” can sometimes be fun.